Latest News: Here is good news for those candidates who want to go to the UP Police department. The authority has released a new notice regarding UP Police Constable, Fireman and Bandi Rakshak posts. The authority will call the candidates to fill up the vacant seats for these posts. There will be 51,216 seats for Constable, 1924 vacancies for fireman posts and 3012 vacancies for man and 626 vacancies for women for Bandi Rakshak posts. The applications will start on 4th November 2018. Short Info: Uttar Pradesh Police Department has released an official notification regarding UP Police Recruitment on 30th September 2018. There are 5419 vacancies for Jail Warder, Fireman, Horse Rider posts. The applications will start soon via online mode. Candidates who are waiting for govt jobs in UP State have a good chance. Those candidates who want a job in the Uttar Pradesh Police Department should not miss this opportunity. By grabbing this opportunity, they can make their future secure under the UP Police roof. There is a huge rush want to go to UP Police Vacancy 2018. Those candidates need to check their UP Police Recruitment eligibility criteria. They can check it from the official notification which is available on the official website of UP Police. 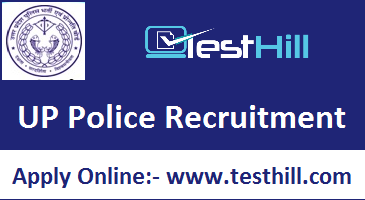 The Uttar Pradesh Police Vacancy 2018 notification link is available on this page also. So, all the interested candidates can check it from the official portal or below given link. Educational Qualifications Candidates must have passed their 10+2 class from a recognized board/institute. For more details, please check the official notification. As we know that the UP Police Vacancy 2018 notification has issued by the authority on 30th September 2018. And the online application will open soon. Candidates who are going to apply for this recruitment, they should apply before the closing date. Because after the last date, the organization will not accept any application. The last date is 09th Feb 2019. The system has the rights to rejects the application if there is any mistake or error in the filled data. So, you should be alert while making the online application. Applicants have to apply from the official portal. Application done by another mode will not be accepted by the authority.